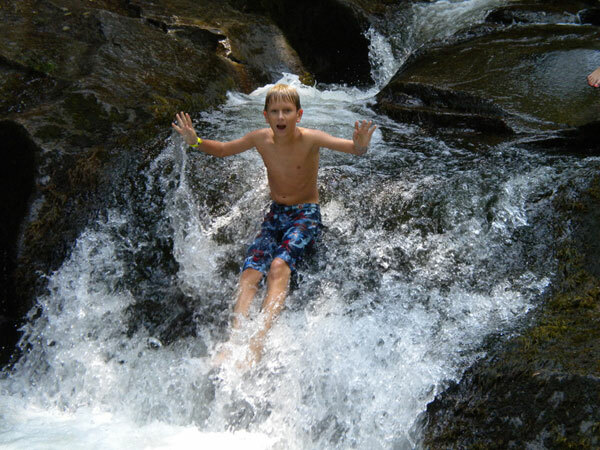 The Breakout Camp is a great first step into our adventure program where rising 6th graders try thrilling activities such as our Gigantic Swing, on-site campout, rafting down raging rapids on the Pigeon, and waterfall hopping in Pisgah National Forest. They also have a late night event on the Big Zipline! They truly get to “Breakout!” as they enter a new chapter of their lives. Check out the Info Sheet for packing list, physical requirements and camp descriptions. Check your schedule on our Dates and Rates sheet. Click on Waivers to download the needed additional waivers for this camp. Check out a sample schedule with our Mock Schedule.